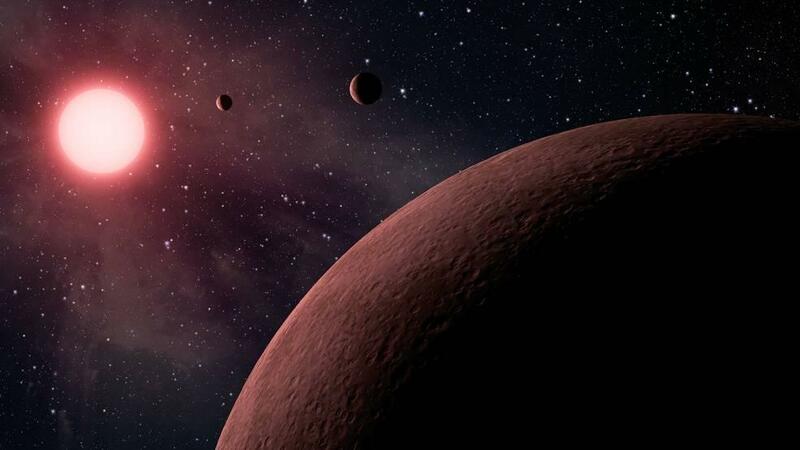 A detailed analysis of data collected by NASA's Kepler space telescope has revealed an additional 219 possible planets orbiting distant suns, including 10 roughly Earth-size worlds in the habitable zones of their host stars, researchers said Monday. The analysis pushes Kepler's tally to 4,034 planet candidates overall, of which 2,335 have been confirmed through additional observation and analysis. More than 30 of 49 terrestrial candidates have been confirmed orbiting in habitable zones where water can exist as a liquid and life as it's known on Earth could, in theory, exist. The new Kepler analysis also indicates extra-solar planets form in three general sizes, not two as previously thought. At one extreme are huge Jupiter-class gas giants. In the middle are roughly Neptune-size worlds and at the other end of the scale are smaller Earth-analogues. "Kepler planets had appeared to span all sizes between one and four times the size of Earth, but when measured precisely, small planets (fall) into two distinct size groups," said Benjamin Fulton, a researcher at the University of Hawaii and the California Institute of Technology. "Most of the planets in the first group may be akin to the Earth, with rocky surfaces and little to no atmospheres. Planets in the second group are probably like cousins of Neptune with thick atmospheres and no surface to speak of. Intermediate-size planets between these two size groups are relatively rare." The data indicate "a major new division in the family tree of exoplanets," he said, "somewhat analogous to the discovery that mammals and lizards are separate branches on the tree of life." Launched in March 2009, Kepler used a 95-megapixel camera to detect the presence of planets by precisely measuring how the light of a parent star dimmed ever so slightly when one or more worlds passed in front as viewed by the spacecraft. All of Kepler's observations were in a small patch of sky between the constellations of Cygnus and Lyra. The spacecraft remains in operation, despite problems with stability due to component failures over the years. The exoplanet totals announced Monday reflect a final, extraordinarily detailed analysis of data collected over the first four years of Kepler's observations. Susan Thompson, a Kepler research scientist for the SETI Institute and lead author of the new study, said the new catalog of Kepler data used sophisticated software to re-examine the light from 200,000 stars in the target area, finding about 34,000 possible "signals." Computer routines then examined each signal to determine if it was evidence of an actual exoplanet candidate or if it was the result of "noise" or some other factor. The result: 4,034 exoplanet candidates. "It feels a bit like the end of an era, but actually I see it as a new beginning," Thompson said. "It's amazing the things that Kepler has found, it has shown us these terrestrial worlds, and we still have all this work to do to understand how common Earths are in the galaxy. So I'm really excited to see what people are going to do with this catalog."